Gillette chastises men in a new commercial highlighting the #MeToo movement — and some are furious. 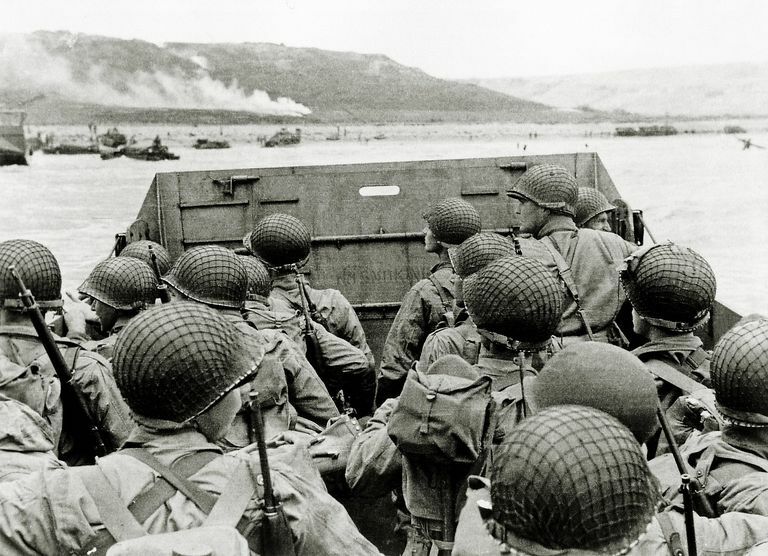 Remember, real men use Nair. I don’t even wear a watch and I feel like buying one. I know what it is to be a man because my father taught me. And I hate to brag but my daughters picked good men to marry because I showed them. This attempt by the politically-correct intelligentsia to demean and mischaracterize masculinity will lead to nothing but misery and emptiness for the people who buy into it. I know what it is to be a man because my stepfather showed me what it is to NOT be a man. A different way of going about it, but I would have preferred the way YOUR father taught it. All us boys thought our father was the meanest SOB on earth when we were growing up. We had to get grown and living our own lives before we figured out we were just like dad. He wasn’t being mean to us, he was teaching us how to be, and live, like a man. Jillette was up there on the cringe scale, but this one pegged it out. I don’t think that is going to help them sell more razors. I hear rumor trannies are buying them up. Hurry folks and purchase stock in DSC (dollar shave club) and or Harry’s Razors. As it has been pointed out, it was MEN that stepped in and stopped the actions of the thugs. More pussification of the males in this country. I’ve been using Harry’s for about a year and a half. Great!! 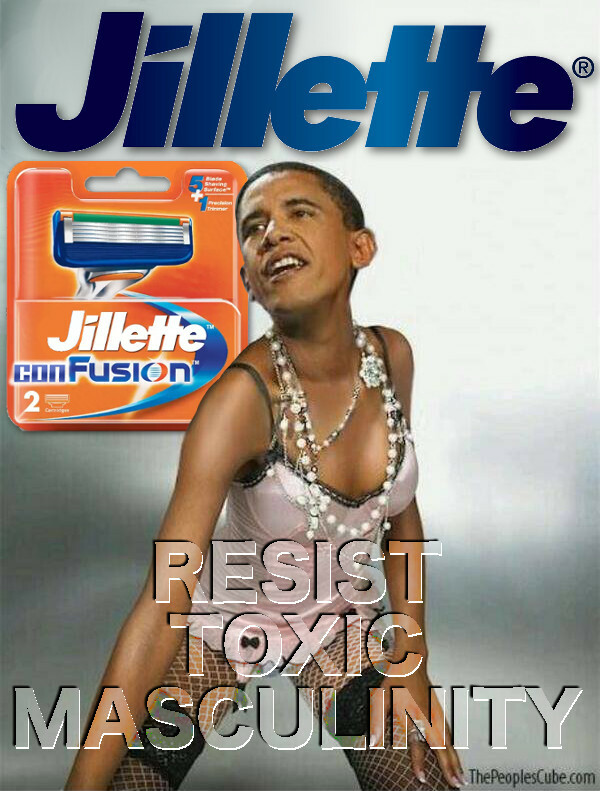 Much better quality product than Gillette and less expensive. Probably not the best PR move telling men that shave how to be men. I haven’t shaved regularly in 35 years abd don’t need advice on manhood from some mediocre razor manufacturer. Plus, facial hair developing is a sign of physical maturation/adulthood. I wonder if it would be good for Gillette’s business if men just decided to stop shaving, letting nature proceed as intended and just grew beards. That could be somewhat ironic. 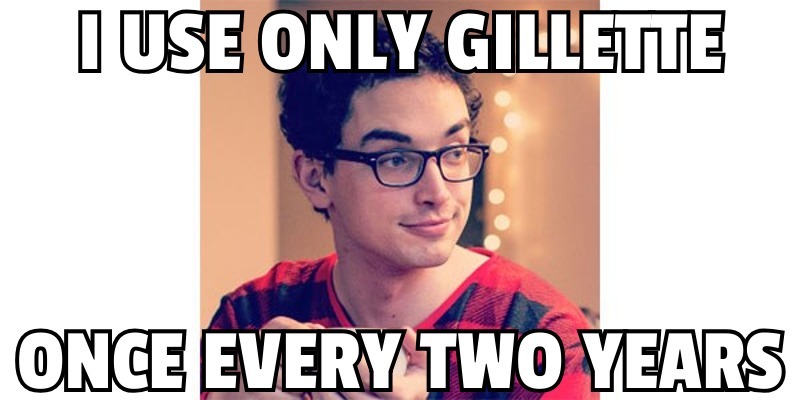 Dear Gillette, Please do us all a huge favor. Advertise your product and stop telling people how to raise their children! We don’t tell you how to make razor blades do we? So just what idiot in the advertising department decided you need to take on the mythical Toxic Masculinity Unicorn? 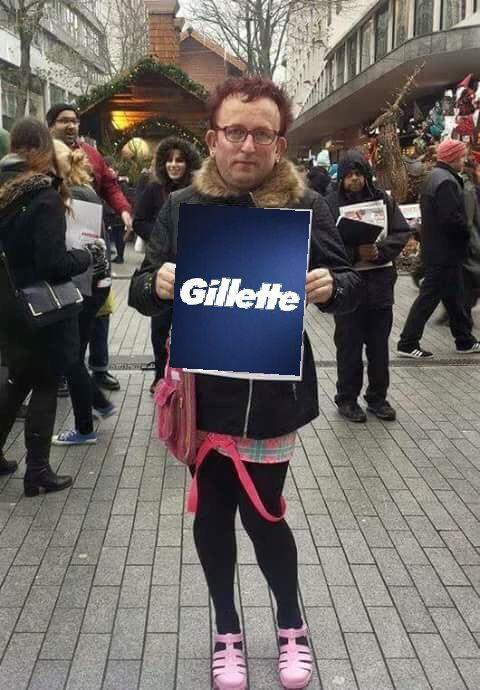 PLease STFU and make razors, or your going the way of (Limp) Dicks sporting goods, Target and all the rest of the companies that seen to think they know more than we do. PLease count me as a former customer, and please go F*ck yourself. 1) I don’t have enough middle fingers to respond to this commercial. 2) Did anyone else notice that the people protecting the women, and the boys being bullied, were all MEN? 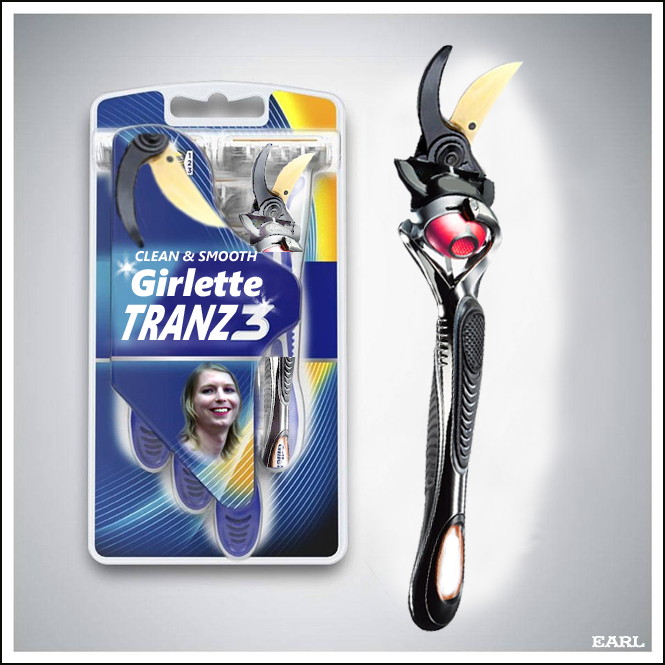 Maybe Gillette wants its male customers to buy razors to emasculate themselves. I mean, what’s the point of alienating the gender which buys your product? Or do women buy more razor blades than men? P&G must be counting on all the ITs and confused ones to pick up for the lost sales from those who have gonads and some common sense. 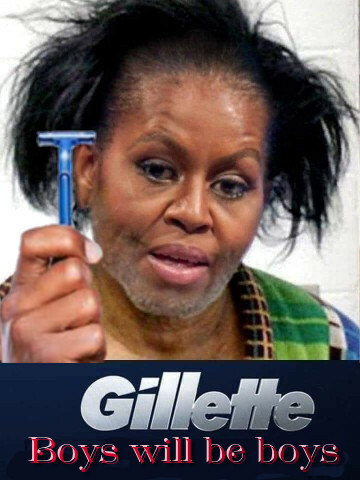 Maybe they’re trying to garner favor from the female market by using this subliminal BS to trick women into buying the Gillette ‘pink’ shaving lines. Advertising aimed at the female market starts with the premise that women are stupid, insecure and not capable of making product choices without their help. If you feel I’m wrong, analyze the next female product commercial or print ad with that statement in mind. Flip side, male marketing is nothing more than a ‘pecker contest’ aimed at pumping the male ego through our collective penii. This tells me the ads in question are not aimed at the male audience because it makes my peepee feel small when I see it(the ad, not my peepee). Get woke, go broke? Let’s hope. As an aside I can remember my mom’s dad watching the Saturday Night Fights sponsored by Gillette on a black and white TV. The people who ran Gillette back then and everyone who watched the fights would have been appalled at this commercial.